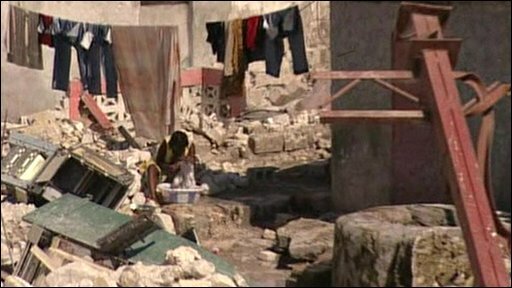 A month on from the Haiti earthquake and the government says the death toll may have reached 230,000. The relief effort has been hindered by severe damage to roads and communications, and now the country is facing the start of the rainy season. In Leogane, the epicentre of the quake, west of Port-au-Prince, 90% of the buildings are in ruins or will need to be rebuilt. Christian Fraser reports from the town to see how people are coping.